Technology is a very dynamic beast. It’s always changing, always evolving. This is especially the case between competing technologies. Take the relationship between laser and inkjet printing. Inkjet printing was invented much before laser printing in 1951. However, when laser printing came 18 years later, it slowly grew to blow inkjet printing out of the water. For a good time, the two went neck and neck in popularity and then laser printing forged ahead. If you asked someone 10 years ago which type of printer was most suited in offices, they would’ve told you laser printing simply because it was faster, more user friendly and cheaper to operate. However, it’s all turned on its head again. Inkjet printing has developed leaps and bounds recently. Such has been its development that professionals now recommend businesses to discard their laser printers and buy office inkjet printers. We’re here to give you the reasons these people cite when telling enterprises to buy office inkjet printers over laser printers. The contention here is that with an intelligent purchase, a high quality office inkjet printer can easily supersede a high quality office laser printer in criteria like speed, quality, and affordability. Consider. When you go into the local electronics store looking for a printer, one of the first things that will strike you is that inkjet printers are significantly cheaper than laser printers. 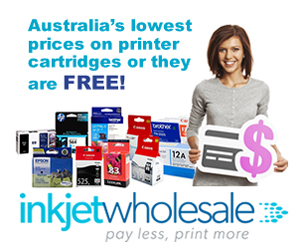 In fact, you’ll see inkjet printers being sold for less than $50 in some cases. You’ll come across the same scenario when you go to buy office inkjet printers. 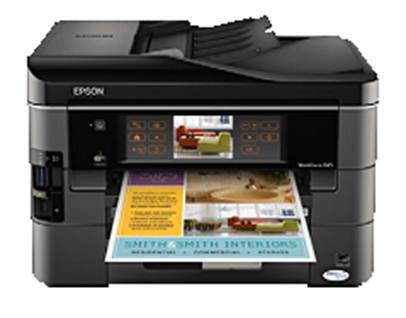 Inkjet printers, across the board, are sold at cheaper rates than laser printers with similar types of specifications. Since most businesses are always looking for ways to reduce their expenses, buying office inkjet printers dovetails nicely with the overall organisational strategy. 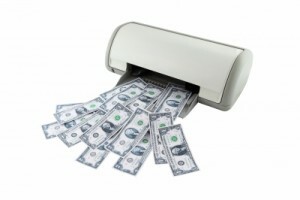 Now, some of you might say that inkjet printers are cheaper to acquire but more expensive to run. You’re, no doubt, referring to the razor marketing model that Original Equipment Manufacturers (OEMs) employ. For those of you who don’t know what this model is: OEMs sell printers at low prices in the hope that they can recoup their losses on consumables like cartridges. What this amounts to is that the operational cost of these printers is disproportionately high. However, if there’s a way around these high operational costs, which we’ll explain in the last point. As you’ll see, this way will make it easier for you to buy office inkjet printers. Even while companies were choosing laser printers over inkjet printers, they were doing so in full knowledge that they are compromising on the quality of the final print. In other words, they knew that the print quality of laser printers is lower than that of inkjet printers but chose to go with laser printer anyway because they were faster and more financially efficient. The difference between the print quality doesn’t show up as much in text prints as it does in image prints where the limitations of laser printing really becomes obvious. This is the main reason why photographers and graphic artists almost always go for inkjet printers over laser printers. The colour matching of inkjet printers is much crisper and clearer than that of laser printers. This means that whether you preparing a text based report for a client or creating a whole annual report for your company, the end result will be better quality than what any laser printer will be able to generate. Effectively, if you value print quality in your office, then you’ll need to buy office inkjet printers sooner or later. 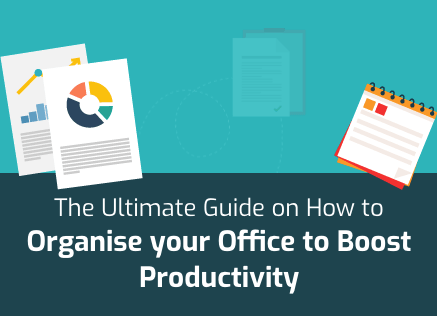 One of the main reasons why laser printers were the favourites of offices and companies was their speed. In most company offices, printers are shared by a number of people. Depending on the company in question and the type of printer being used, these machines could be shared by a small workgroup (~10 people) or a large workgroup (~50 people). So, what happens when multiple people share the same machine and many of them give print commands simultaneously? The answer is obvious. There develops a print job queue where some people have to wait. Analysing the amount of time wasted during these waiting periods is extremely difficult. At the same time, these waiting periods do add up to very nasty and unbelievable totals. Convert these waiting periods into their financial equivalents and how much the company can save over a year becomes abundantly clear. Entrepreneurs, owners, managing directors, chairmen, and bosses in general have always been aware of this fact. So, when laser printers used to be faster than inkjet printers, these decision makers chose the former. However, now the tables have turned. You should buy office inkjet printers because they are actually becoming faster than laser printers. For instance, some recent printer models boast of print heads that span the whole page. This makes it easier for them to print high quality and incredibly high speeds. For businesses that are very serious about their responsibility to the environment, there’s no better choice than to buy office inkjet printers. Inkjet printers are easily the more eco-friendly option than laser printers for a wide variety of reasons. Laser printers use electrostatic charge to transfer toner from the cartridges onto the paper. After this, these toner particles are melted into the paper with heat generated by a fuser. The heat required to melt toner particles is tremendous. This means that the fuser consumes a lot of power to reach temperatures nearing 200 degrees Celsius. In essence, a laser printer consumes much more power than inkjet printers. In fact, some new models of inkjet printers are actually designed to be particularly eco-friendly. This usually translates into energy efficiency at levels that are 50 to 80 percent better than older models. The only downside you’ll have to deal with if you buy office inkjet printers is their running costs. It’s impossible to argue against the premise that inkjet printers are costlier to run than laser printers. However, that is only true if you’re using genuine ink cartridges. Just by using compatible ink cartridges, you can not only make it financially feasible for your business to buy office inkjet printers but also financially rewarding. For instance, compatible ink cartridges can end up being up to 84 percent cheaper than genuine ink cartridges. Moreover, there isn’t even any type of trade off. The print quality generated by compatible ink cartridges is comparable to genuine ink cartridges. There are now, in fact, compatible ink cartridges that are manufactured with the same type of international standards that genuine ink cartridges are manufactured under. Standards like UKAS accreditation and ISO 9001 certification are applicable across the board with compatible ink cartridges at Inkjet Wholesale. Additionally, while the post sales service of genuine ink cartridges manufacturers is high quality, providers of compatible ink cartridges are not far behind. For example, at Inkjet Wholesale, you get 100 percent lifetime shelf guarantee and printer perfect warranty not only on genuine ink cartridges but also compatible ink cartridges.